Through a strategic, multi-phase renovation to its Founders Hall, Westmoreland County Community College is set to catalyze transformative change for its campus. 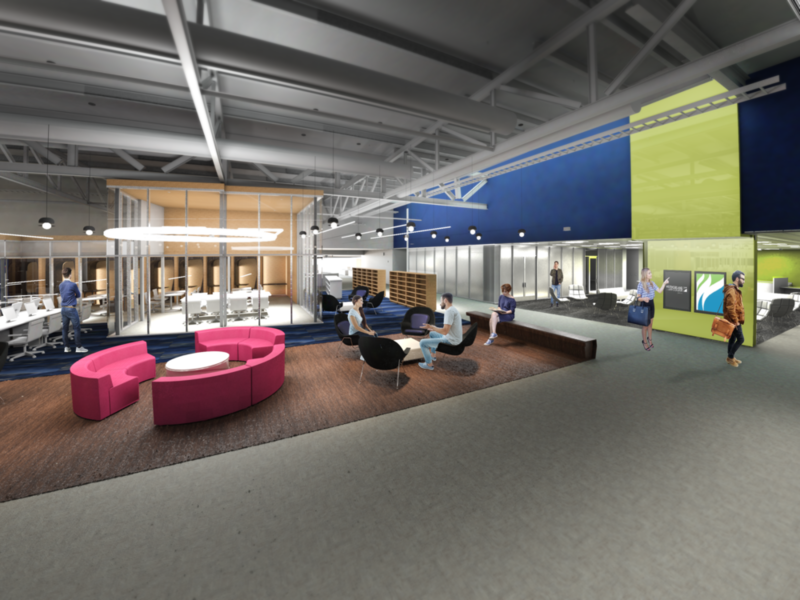 The new Student Achievement Center will create enhanced opportunities for student-to-student collaboration and easier access to student services. Moreover, the project ensures more efficient and dynamic layouts for key departments including Enrollment, Student Success and other administrative teams while creating a new entry sequence for the building. 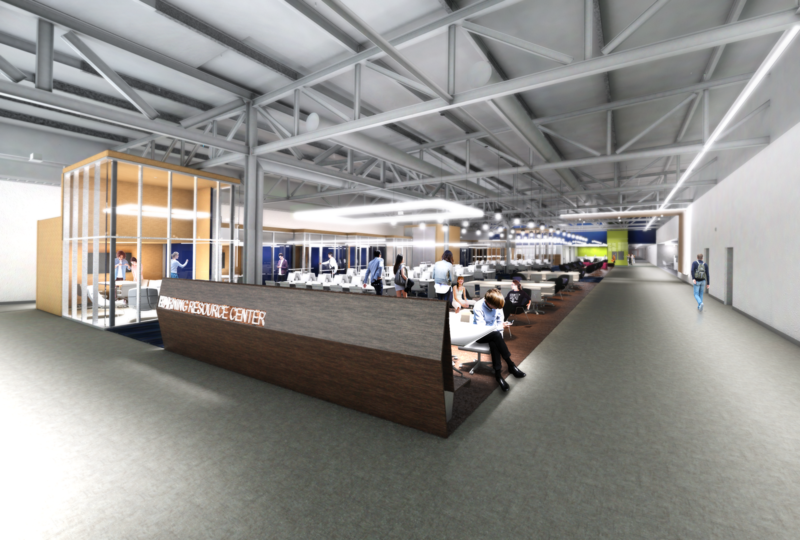 The renewed space will also enhance campus identity and branding. The existing building is challenged for logical wayfinding and access and views to daylight and other departments. The new design specifically addresses these challenges that showcases departments, introduces clear wayfinding and welcoming daylight into the building. Westmoreland sees the project as a transformative moment in its campus’ history.